What is a Rescheck? | $79 RESchecks & Manual Js. $79 Any Plan. Any State. At the Reschexpert blog we work to discuss all the questions that bother our users the most. 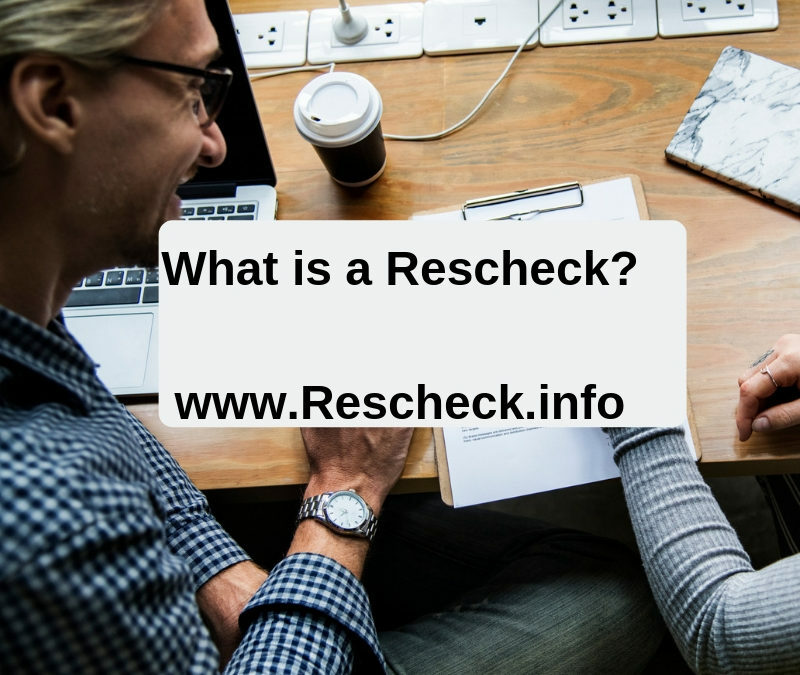 Today we want to discuss, what is a Rescheck? Many people call us each day and ask this question so we thought we would offer a simple explanation here on the Reschexpert blog. Rescheck is a suite of software that includes both Rescheck Web and Rescheck Desktop. With some basic data collected from your construction plans you can easily compare your home’s components to your climate zone and make sure that your are adequately insulating the structure you want to build. A Rescheck Software can be used to Rescheck both single and some multifamily units. It can also be used for new construction, additions and alterations. Rescheck reports are very flexible in regards to the codes that you can choose. Currently you have over a dozen choices of both IECC code pages and state specific Rescheck code renditions. It is possible to check a single project against multiple codes by simply toggling the code option within the Rescheck Software. After data for your construction project is entered into the Rescheck Web or Rescheck Desktop software suites you can generate a report. This report has the following anatomy. Your first page is your calculations. The next pages are an easy to use inspection checklist that your building department or building inspector will use to inspect the structure. The final page compliance certificate is signed at the final inspection and typically placed on the electrical panel. Once you have your report created you can simply print it off and turn it into your building inspector for permitting. You should be ready to move along with your project. Your building inspector may have some helpful suggestions that could allow you to build a better home for your area. This is the time when he may present those to you. This has been our simple explanation of what a Rescheck is. There are plenty of wordy, lengthy, overkill videos and blog posts about what a Rescheck is. Most of them do not do Rescheck and the Rescheck softwares justice because of the actual simplicity and ease of use of the Rescheck Creation softwares. If for some reason you need a Rescheck or Manual J created and you do not have time to learn the Rescheck Software then we at Rescheck.info can help you get this created. We charge $79 and our lead time is 4-6 hours. Simply email your plans to [email protected] and we will start on your report. Once it is ready we will send you a project recap and invoice. 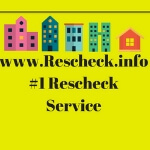 Thanks for reading the Reschexpert blog and this been our explanation of what is a Rescheck.